You know a CCTV camera’s line of sight is important, right? Learning how far a security camera can see will help you better set up your home surveillance systems and leave no blind spots. You’re about to learn what determines a security cameras’ range limit (including at night), and get some recommendations of the best long range outdoor security cameras for your security needs. So let’s get started. How far of a range can retail security cameras see? What’s the range, in meters, of CCTV cameras’ line of sight? Or how much can security cameras see? 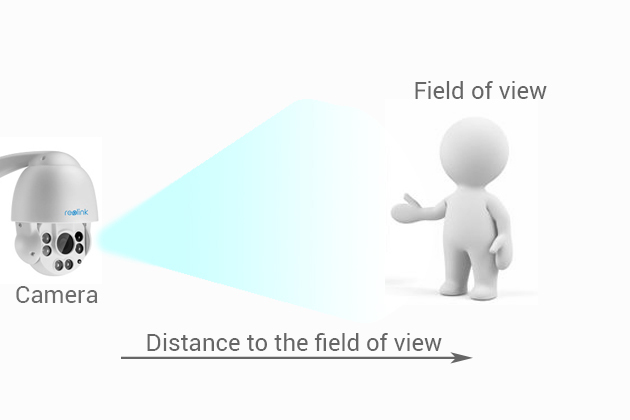 In fact, the CCTV camera range distance is mainly affected by the following factors. The focal length, or the size of security camera lenses, is the NO.1 factor determining how far security cameras can see. It is measured in mm and can be classified into fixed focal length (found in fixed lens security cameras) and variable focal length (available among vari-focal IP cameras). 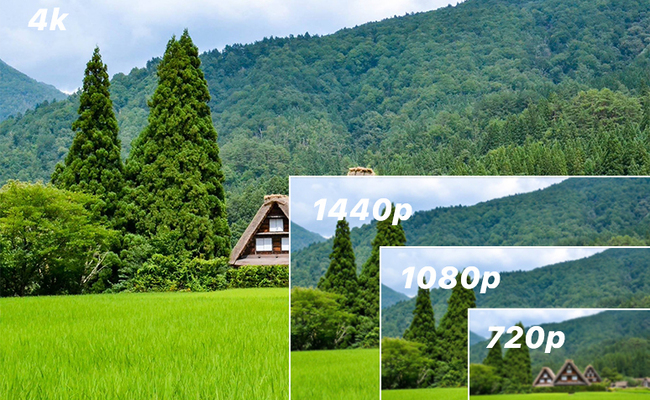 The smaller the focal length, the wide field of view your security camera can see. Likewise, larger focal length makes for narrower field of view of your surveillance cameras. According to the experience of security camera installers, if you expect your security camera to see within 40 feet, a 4.0 fixed lens security camera is enough to do the trick. The PTZ security cameras or zoom security cameras, on the other hand, are more suitable if the viewing area is far away (beyond 40 feet) from the location where cameras are installed. It would make no sense if your security cameras just see something but make out no details. So, instead of asking how far a security camera can see (at night), it is wiser to focus on how far CCTV cameras can see clearly with visible details. And that’s where the resolution of your security cameras come into play. With the price of HD security cameras becoming much affordable, you can employ the 4MP, 5MP and even 4K security camera systems for video surveillance with vivid details. You Might Be Interested: Read this post to learn the differences between 4K, 4MP, 2MP and 720p security cameras. The location where you place your security cameras can also affect how far a surveillance camera can see. Let me explain further: for the wireless security cameras, bricks, concrete floors, walls and even outdoor large trees between the camera and the monitoring site can be weaken the signal strength, thus influencing how far your security cameras can see. The camera quality also matters when it comes to determining how far of a range retail security cameras can see, as not all surveillance cameras are created equally well even they are tagged with the same field of view. The top security camera brands with a large customer base, are far more reliable than those unknown camera sellers. And you’ll learn the lesson especially when you need technical support from the camera sellers. Renowned camera brands usually offer sound after-sales service which the little-known brands fail to do so. Deeper Learning: Can security cameras see in the dark? And how far can a security camera see at night? Well, the security cameras with night vision capability can absolutely see around in the dark (read this to learn how they work). As for how far a CCTV security camera can see at night, on top of the factors listed above, it is also affected by the number and type of LEDs, lux rating, if the camera is featured with 3D-DNR function and infrared technology. Normally, you can learn the IR distance of security cameras from product specifications. Below is a video shared by a user of Reolink RLC-410. Choose the varifocal lens security cameras which can see a larger field of view. You can zoom in to identity visible details at a distance without degrading the image quality. Higher resolution security cameras, like 4MP and 5MP ones, can increase the odds to deliver usable images and videos from a distance. If you intend to buy a wireless security camera, make sure there are few blocks between the camera and the monitoring site. Go for the security cameras from reputable brands to avoid possible disputes and unnecessary trouble later. Ensure that your security cameras can also see far enough with recognizable details at night. With the above knowledge about how far security cameras can see, here we pick up 2 wide-angle security cameras that allow you to get high quality images even from a distance. 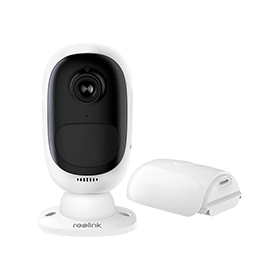 Reolink Argus® 2 is one of the top-rated home security cameras in 2018, and has been featured on a series of top-tier media, including Techhive, PC Mag, Tom’s Guide, etc. With 1080p Full HD and 130° wide viewing angle, this smart security camera is ideal for the key entrances & exits, and allows you to see up to 33ft even in total darkness. 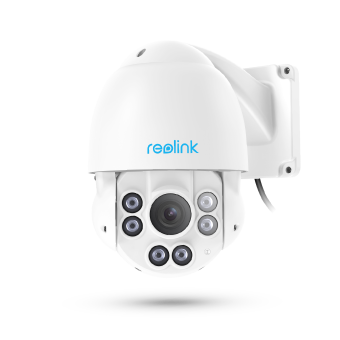 If you intend to monitor large areas with one single security camera, Reolink RLC-423 is definitely your best-bet. Boasting 360° pan, 90° tilt and 4X optical zoom, this PoE security camera enables a wide viewing angle (33° – 98°) and allows you to zoom for more details of far-away objects without losing the image quality. Its performance at night also shines – with 6pcs of infrared LEDs, this outdoor security camera can see up to 190ft in low light conditions. Below is a video shared by a user of Reolink RLC-423. If you have any more questions about how far a security camera can see (at night), leave your comments down in the comments and we’d like to hear from you. This entry was posted in Home Security FAQs and tagged filed of view, how far security cameras can see, security camera line of sight. We just received two Argus 2 cameras. We drilled holes in 3″ x 9″ piece of plywood and used cable zip ties though the holes to attach it to the top section of a 6′ – 12′ paint roller extension pole. We screwed the articulating camera base to the plywood and installed the camera. Connected to our WiFi we were able to easily move the camera around the outside of our home to find the best location for viewing and signal strength. We used bar clamps and included tree mounting strap to temporarily secure the pole at many different heights and locations outside. Then finally choose the best place and permanently installed the cameras. It made the process fun and easy.